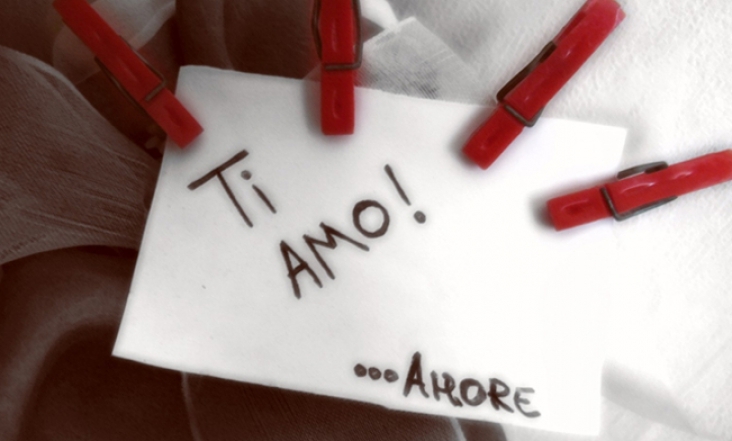 The Italian language is the most romantic language in the world. The high percentage of Italian words that end in vowels give the language a musicality with sounds overflowing into unrestricted puffs of air flowing over lips, teeth, tongue and throat. Italian is a phonetic language, which means that it is spoken the way it is written. Every vowel is pronounced no matter how many of them are in a row. Such as the word aiutare where each syllable is pronounced rapidly but distinctly (AH-EE-OO-TAH-RAY). Separately yet flowing into one another without any pause. A pretty romantic description of a language. Today is St. Valentine’s Day, a day when love is in our hearts, minds and lips. Here are a few “love” phrases in Italian that you can use to create an Italian inspired Valentine’s Day. How do latte lovers celebrate Valentine’s Day? Romantic baristas know that a microfoam heart is the best way to begin Valentine’s Day but why stop there. 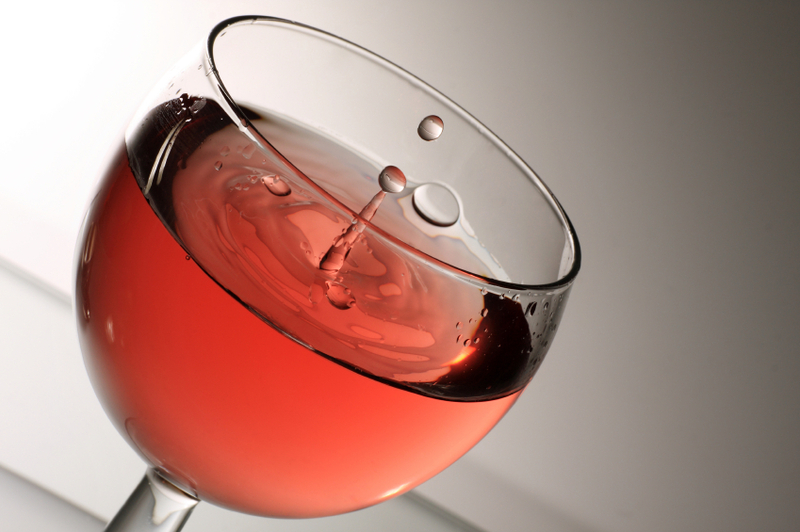 Here are 5 more Italian inspired ways to espress yourself on February 14th that are sure to win your Valentine’s heart. Make a simply irresistible Cappuccino Souffle. Add a Trollbead Sterling Silver Mocha Coffee Bean Bead to her bracelet to remind her to always start the day with you. Bake a special occasion cake that pushes all the right buttons like Coffee Chocolate Layer Cake with Mocha Mascarpone Frosting. Send a bouquet of Coffee Break Roses, a striking burnt terra-cotta rose with a tip of crema. It is commercially available in limited quantities. Looking for a Coffee-Cocktail to espress your feelings. 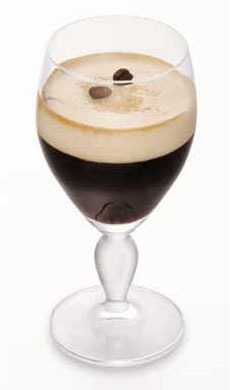 Here are two espresso-based cocktails courtesy of Illy USA. Amore is served hot with Amaretto di Saronno®, Beatrice on ice with vodka and Grand Marnier®. Verona – a city so famous for love that it gets thousands of letters simply addressed to “Juliet, Verona Italy. 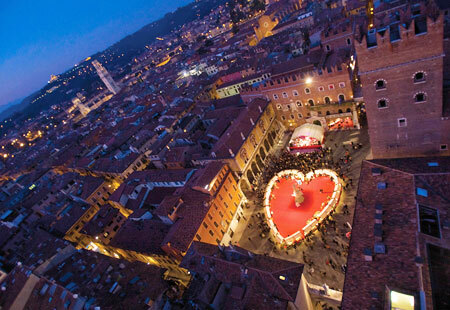 The week before February 14th is even more enchanting when the city celebrates un cuore da scoprire “a heart to discover” with a city-wide Valentine’s Day market set up in the shape of a heart. There are concerts, events and the “Cara Giulietta” (“Dear Juliet”) prize awarded on Valentine’s Day to the author of the most heart-felt love letter received during the previous year. The main pedestrian streets of the old town take on a magical atmosphere created by large bright red heart decorations and the shops pay homage to love by decorating their storefronts. On Valentine’s day and the following Sunday, lovers can share a collective Kiss in the main piazza after which a cloud of love explodes into thousands of red hearts. 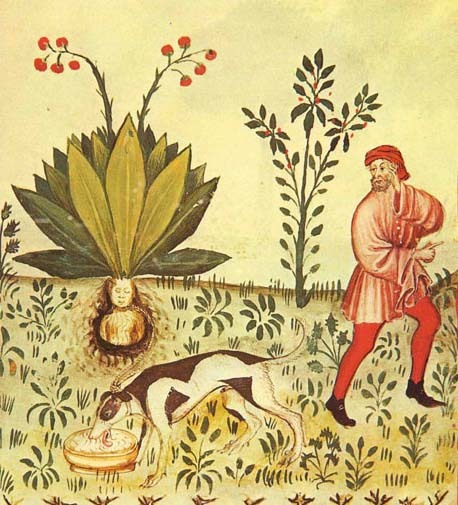 A desirable collection of food, wine, art and design that shares the color Red and the Romance of Italy from a lipstick red espresso machine to an Italian red sauce make with tomatoes botanically related to the mandrake, or “love plant”, the tomato was once believed to be a powerful aphrodisiac, said to be able to “lead a man like a dog .
. . . (click) the Red Passion Collection.